Disasters can happen at a moment’s notice and can bring destruction to your family and property. Everything that you have worked hard for can be taken in a blink of the eye. This can cause heartache and cost thousands of dollars to repair and rebuild. Knowledge is power. Being able to identify a threat before it can affect you is important as a prepper. 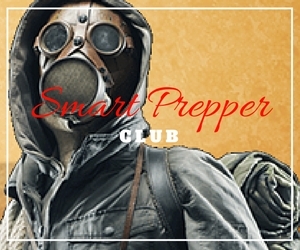 The Smart Prepper Gear Club exists to provide analysis and insights into domestic and global threats, to provide you with actionable details to prepare the smart way now so that you can thrive later. Join the Smart Prepper Club to receive monthly strategic threat assessments with actionable steps to help you stay ahead. With the Smart Prepper Club, you will also have private access to like minded preppers where you can share information and strengthen the community. Along with that, you will receive transcripts of interviews with preparedness experts and monthly updates from Aaron Liford.